Welcome to Red Rubber Inspirational! 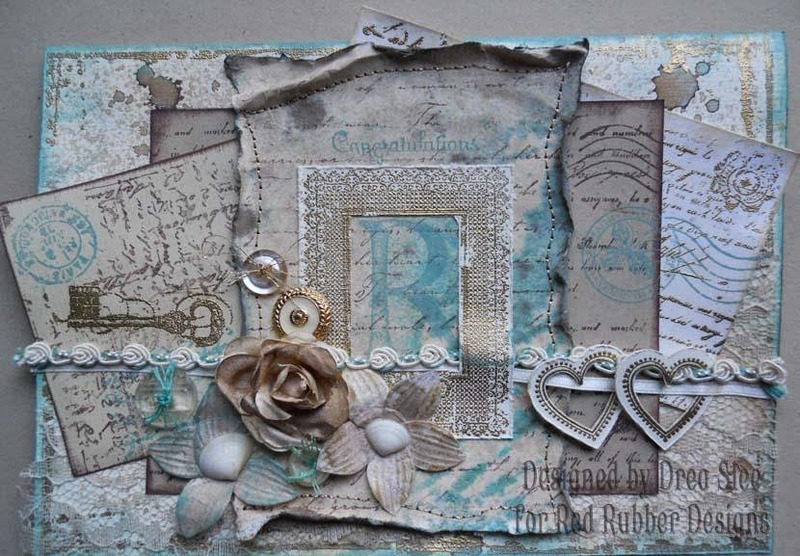 We are excited to bring you a weekly challenge that will focus on stamping and related techniques o inspire and enable you to create art! 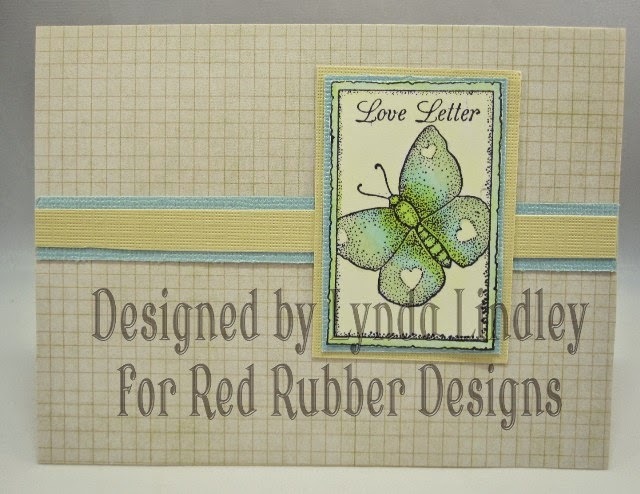 As an example I crated this card featuring True Beauty Rubber Stamp Set and the Fanciful Vintage Rubber Stamp Set from Red Rubber Designs. I chose a pale turquoise design paper and then cut it into the shape of an envelope. 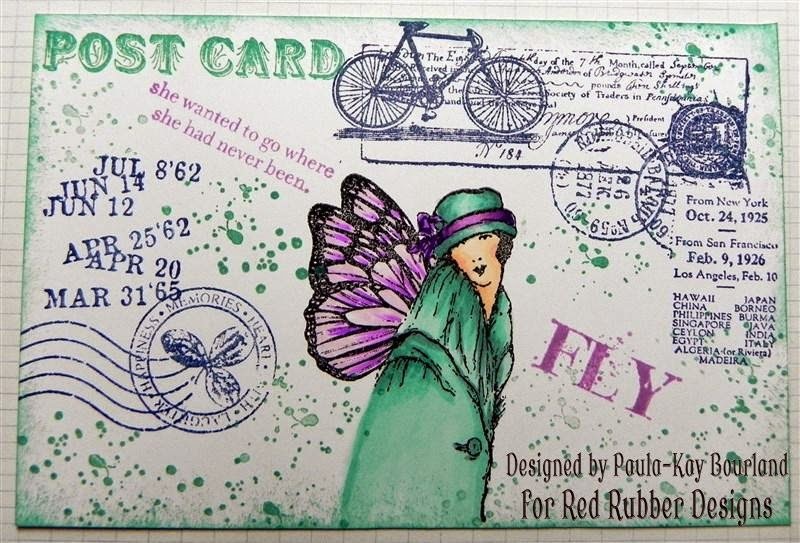 After this I over stamped the top and bottom flaps with the word "postcard" from the Fanciful Vintage set and on the two side flaps I stamped a cancelled postage mark also from the Fanciful Vintage set. 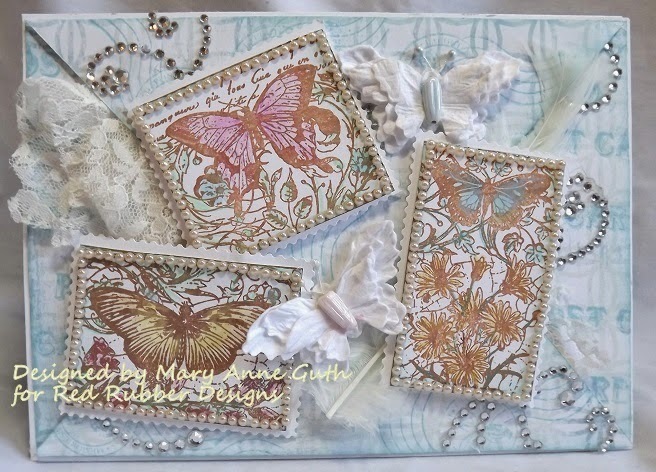 For the collage on top I used three of the four butterfly stamps from the True Beauty set and colored them with colored pencils. I cut them out and popped them onto bits of card stock that I cut with a postage edged scissors. Inspiration projects - After each Inspirational the Inspiration Team will choose three projects on their blog from those submitted via the link-up tool (below) which we think best reflect the theme of the Inspirational. These cards are amazing!! !Great ART! !